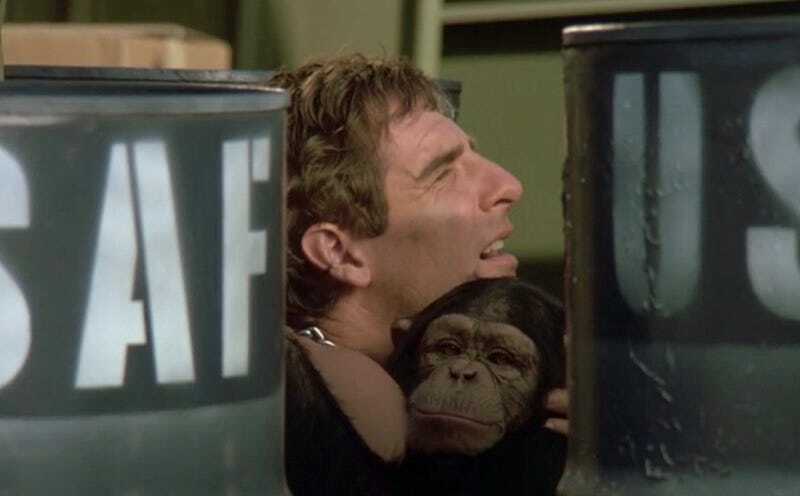 Time-traveling problem-solver Dr. Sam Beckett experienced plenty of bizarre situations over five seasons of Quantum Leap, but certain episodes stand out as pushing the boundaries of weirdness to the extreme. They are, of course, our very favorite QL episodes, and with a little help from Ziggy, we’ve gathered them here. As a wild n’ crazy 1950s radio DJ tasked with helping a station owner (future Home Improvement star Patricia Richardson) keep rock and roll alive, conservative advertisers be damned, Sam meets an upstart named Chubby Checker, who’s just trying to get a little ditty called “The Twist” some airplay. And then there was the time Sam, as a pimply teen whose family troubles resemble ones from Sam’s own youth, shows a young Michael Jackson how to moonwalk in a public restroom. Sam leaps right into a graveyard and the early-1970s life of a tweedy Stanford parapsychologist helping a troubled woman (Deborah Pratt, wife of show creator Donald P. Bellisario) who believes her late husband is reaching out from beyond the grave. In one of Quantum Leap’s many examples of fantastical science, Sam and his sharp-dressed colleague Al (who appears only to Sam in hologram form) use one of the professor’s ghost-detecting doohickeys to make Al’s voice audible to people other than Sam. Sam wakes up as a young, pre-fame Elvis Presley, in one of several episodes throughout season five that saw him embodying or interacting with real famous people. Peter Noone, of Herman’s Hermits fame, guest stars as King Thunder’s manager. Sam played women multiple times, but only once did he leap into one—a small-town Texas teen in the 1950s—who was mere days away from giving birth. Somehow, he experiences all of the physical aches and cravings of pregnancy in the process, while the young mother-to-be (whom we only glimpse in the mirror, per the show’s usual custom) and her unborn child wait in the future for Sam to leap out of their lives. SAM LEAPS INTO A SPACE CHIMP NAMED BOBO. Sam leaps into the body of a 1960s horror author as he’s setting up a Halloween haunted house and immediately hits his head, leading into a murder-filled episode that may or may not be mostly a dream. But what an episode, filled with satanic imagery and probably the scariest scene in the Quantum Leap files, as Sam faces down someone who looks like Al but is revealed to be an evil time-traveler with devilish intentions.